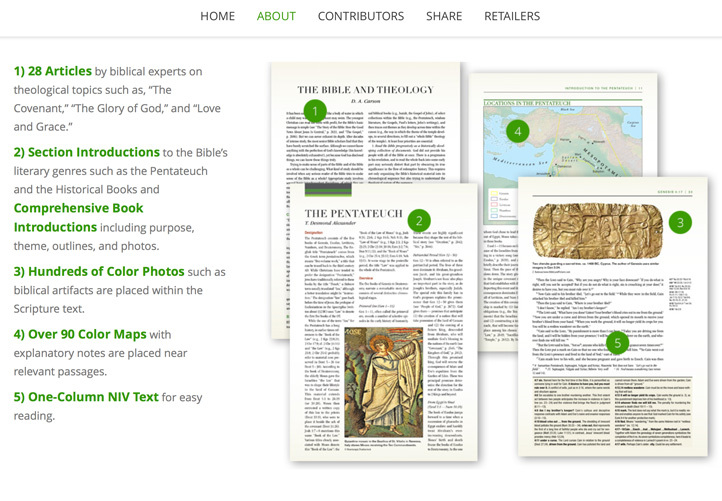 In an ambitious undertaking, a team of over 60 scholars worked over a 5-year period crafting the unique study notes and features in the NIV Zondervan Study Bible. Verve developed the digital and print campaign to help launch the line. Work included a robust website, emails, web banners, print ads, retail merchandising, trade collateral, and social sharing content. 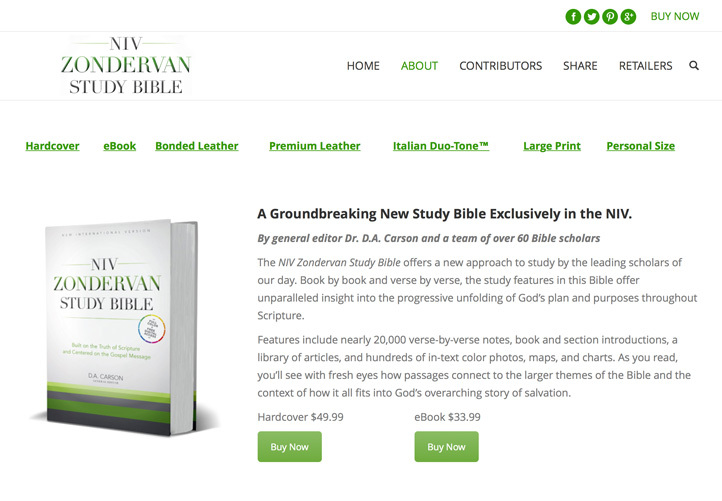 The NIV Zondervan Study Bible was developed by a team of over 60 scholars who crafted its unique study notes and features. It is the first Bible of its kind to focus completely on a biblical theology approach. 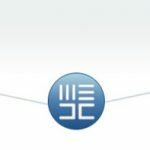 This study method is not something that’s necessarily widely known by consumers but it is an exciting approach in scholarly, professorial circles. The General Editor, D.A. Carson is also widely known and respected to these key influencers. The product launch campaign included extensive marketing to these audiences with traffic directed to this website for information and sales. The home page presents a scrolling general overview and other pages/subpages expand on areas of specific interest. The website also includes a gated page for retailers. Password protected pages for retailers include information on store clerk training programs, incentive programs, and free promotional materials. 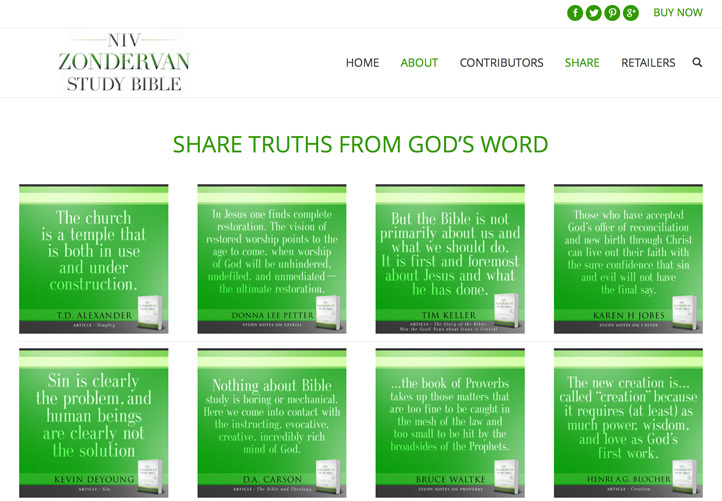 Extensive product information was created for the specific interests of pastors, scholars, and the broader consumer audience. The site also includes a page of shareable assets and complete listing of all bindings and editions available which can be purchased through a drop down of purchase links for a variety of online retailers.